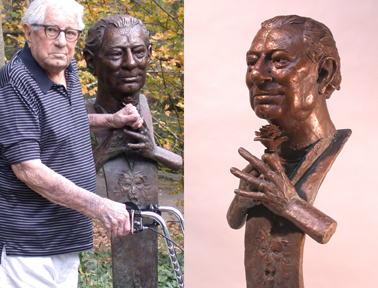 Commissioned by his family, Gil Guillory posed for this piece at the age of 98. A man who roared like a lion but, with a gentle spirit, still charms the ladies and is a viable contributor to the quality of life of his family. or by any means without written permission from the artist. Copyright © 1998 - 1999 Sculptureworks, Inc. All rights reserved.